With our multi-million pound turnover we have the buying power to save you money! We can custom manufacture Magnets from scratch with just a 3 week lead time. 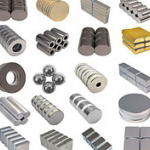 We supply a huge range of Neodymium Rare Earth Magnets and Flexible Magnetic Products from stock. Products include Neodymium Rare Earth Magnets in Bars, Discs, Counter-sunk, Strong and Powerful Magnets, Ferrite, Labels, Label Tape, Magnetic Tape, Magnetic Sheet and Sheeting, much more! If you want to Buy Magnets Call us now on 01268 768 768 now and we will give you the very best prices in the industry... Guaranteed!